A throbbing headache not only hampers your ability to concentrate on your work but also saps your physical strength. A headache can be triggered by an underlying cause that often goes unnoticed. This is exactly why the source of a headache comes as a surprising revelation for many. Rarely do people know that a headache can actually emanate from the jaw. In fact, many chronic headaches and migraines are actually TMJ–related. So What Is The TMJ? 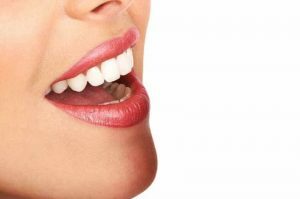 The Temporomandibular Joint (TMJ) connects the jaw and skull, allowing for flexibility of the jaw so that you are able to speak and chew. A disorientation in this joint causes TMJ dysfunction and can cause complaints. In case of TMJ disorder, over-the-counter medication only serves to mask the pain on a superficial level and fails to address the root cause. If you are suffering from chronic headaches and stiffness of the jaw, you could be suffering from TMJ. These 7 signs will tell you if your headache is actually caused by Temporomandibular Joint Disorder. Several factors can contribute to snoring, but snoring is a clear indication that your sleep is disturbed and that your oral structures are misaligned. You snore when your lower jaw and tongue are further apart, which could be an indication that the muscles are misaligned. When the muscles are indeed misaligned, this results not only in snoring, but can cause headaches. The head is designed to remain in the center of your body when you are in an upright position, nicely aligned above your shoulders. If your head stoops forward most of the time and stays ahead of your shoulders, it can exert a lot of pressure on the vertebrae and your neck muscles. This can trigger a chronic headache. Pain originates from the muscles and if your muscles are not functioning properly, they fail to offer adequate support to surrounding structures. This results in fatigue, headache, and discomfort that gradually radiates to the remaining parts of the body. Your TMJ dictates the motion of your jaw and other oral structures. Any distortion of this joint can have an adverse impact on the alignment of your teeth. When your joints are disorientated, you can experience difficulty in opening and closing your mouth and chewing your food. Every bone in your body is designed to work seamlessly and silently. If your jaw clicks frequently, it is a clear indication that your jaw is not aligned properly. When the jaw muscles are unstable, the oral structures often become distorted and this can result in pain. When your tongue remains slightly further back than its optimal position, it is likely to vibrate against your soft palate. This can pose an obstruction to your airway and lead to snoring. The snoring itself does not lead to a headache, but it can be an indication that your lower jaw is misaligned. This muscle distortion can prompt a headache. When the opening of your jaw is limited, you may find that you lack the ability to bite and chew properly. The alignment of your teeth is affected and you require to exert more pressure to chew your food. The muscles associated with chewing can be a source of your headache. If you are suffering from TMJ disorder and experiencing any of these symptoms, it is advisable to consult a dental expert and discuss your treatment options. A trained and certified dentist will provide an accurate diagnosis and a suitable solution to resolve your TMJ-related headache.